Robbie Lawler has nothing personal against Ben Askren but he still wants his shot for redemption with an immediate rematch. 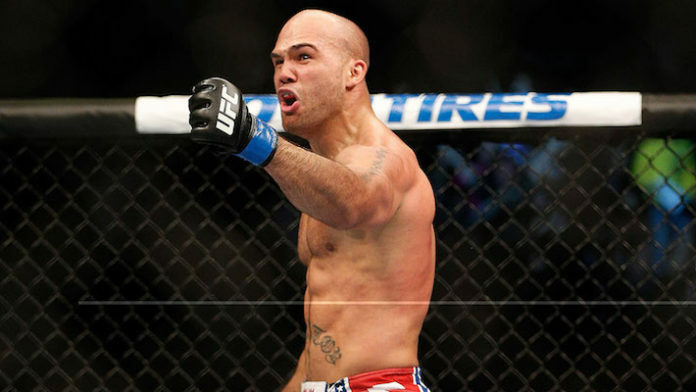 This past Saturday night at UFC 235, Lawler turned the tables on Askren as soon as their fight started by stuffing a takedown from the former Olympian and then tossing him down to the mat where he began raining down hellacious shots looking for the finish. Askren somehow managed to survive the barrage and forge a comeback where he finally landed a takedown and then in a scramble latched onto a bulldog choke against the fence. A few moments later, referee Herb Dean stopped the contest after he saw Lawler’s arm drop but unfortunately he missed the former welterweight champion giving a thumbs up that he was OK to continue. Immediately afterwards, Lawler protested the stoppage but later stated that mistakes happen and all he really wanted was a second shot at Askren to settle what he believes was unfinished business. UFC president Dana White agreed with Lawler about the ‘bad stoppage’ but Askren stated that Lawler was doomed even if the end came a few seconds early because there was ‘no escape’ from his bulldog choke. Now Lawler’s manager David Martin has issued a statement in response to Askren’s comments, taking nothing away from the former Bellator champion’s victory but hopes that an immediate rematch would be booked. “We acknowledge that Ben is a tremendous fighter; coming back from the beating Robbie gave him demonstrates his grit and shows why he has a strong history of winning,” Martin said in the statement. “That is undeniable. However, Ben’s comments speak directly to the fact that there was a lot of time left in the round leading to a lot of unknowns. Things could have dramatically changed in the 1:40 remaining in the round, just as they did a minute into the fight. While Lawler could have easily exploded giving the circumstances surrounding the end of the fight, he handled the entire situation with class even calling Dean a ‘hell of a referee’ while they were still in the Octagon. Obviously, White seems to agree with Lawler about the stoppage and he wants to see the rematch with Askren, although no official offers have been made in an attempt to book another fight.